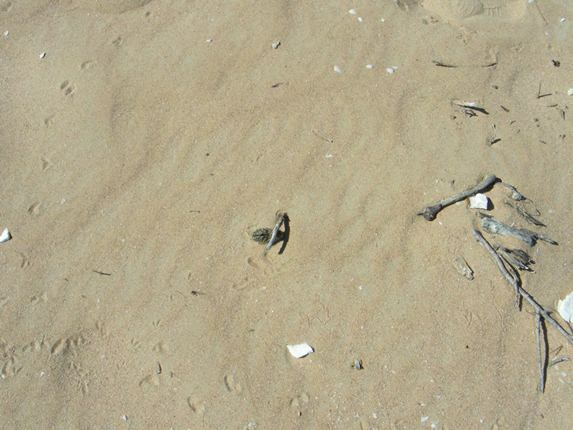 When most people think of Broome and Roebuck Bay they think of migratory shorebirds. 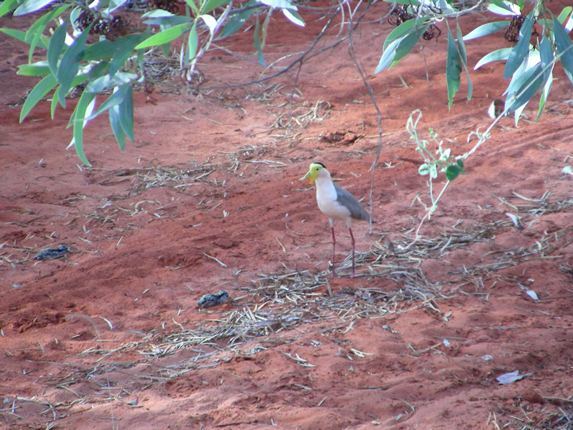 There are thousands of shorebirds that visit Broome each year and the majority of them are now in the northern hemisphere hopefully sitting on eggs. Not all of our shorebird species migrate and those that reside here are also currently sitting on eggs, or thinking about laying eggs in the upcoming weeks. In a few weeks we will have some gorgeous bundles of feathers, so for this post I will have to rely on earlier years photos. The nice thing about shorebirds is that they are feathered as they break out of their eggs and it only takes a couple of hours and they are dry and on the move. 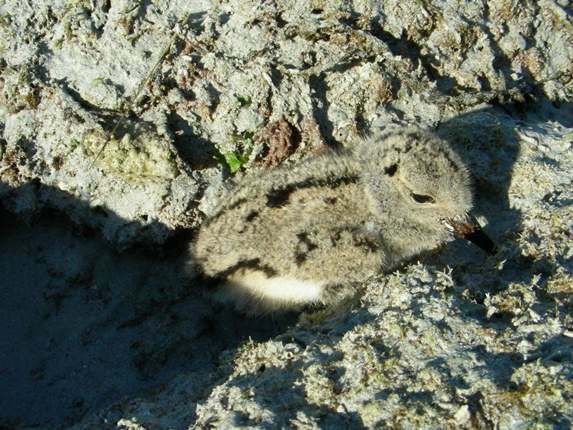 The ability to move away from their nest as soon as two hours after hatching is imperative to their survival. The nest is usually exposed to enable the parents to see any approaching predators and the chicks then need to seek good camouflage as soon as they have hatched. They also need to follow their parents to either be fed or to feed themselves. You often come across these scenarios accidentally and many people probably have no idea why they are getting abused by an adult bird! Pied Oystercatchers nest along our coastline from late June and they will continue to attempt to raise chicks over the following months. Due to predation they will attempt several times each year and they are not successful every year. 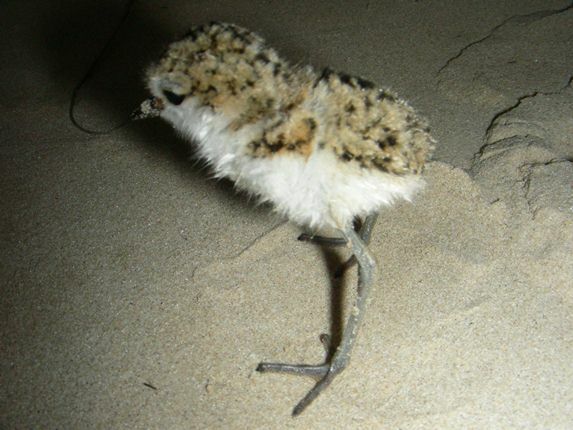 The longevity of these shorebirds enables the population to remain steady. They will walk in and walk out of their nest sites whilst they are sitting on eggs and rarely display “broken wings” until the chicks have hatched. Once they move away from the nest site they will listen for instructions from their parents and when told to hide they will do so immediately. 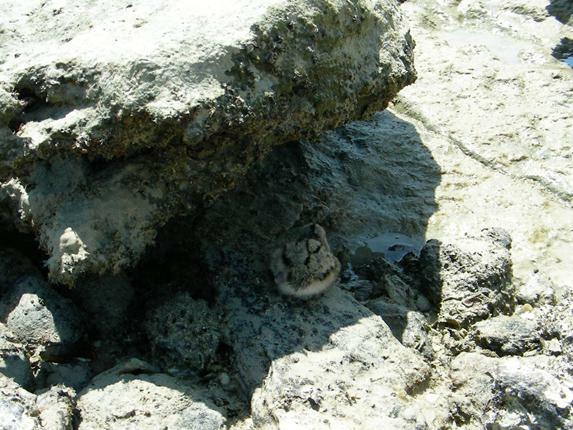 It is not always easy to hide depending on their situation, but they will remain completely still until the warning sound changes and they then stand up and return to their parents. Here are some examples of what we can expect to see along our coast in the next few weeks…. 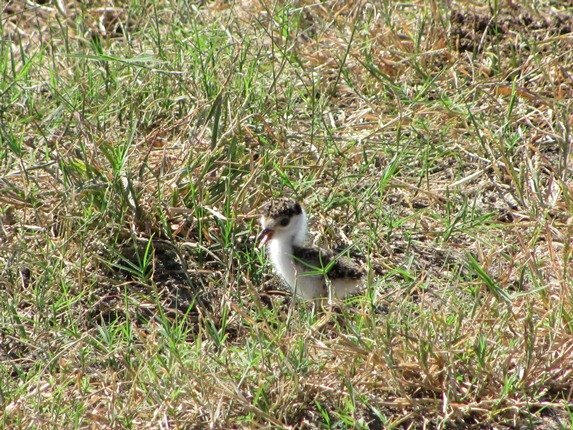 Red-capped Plover chick with legs for running! 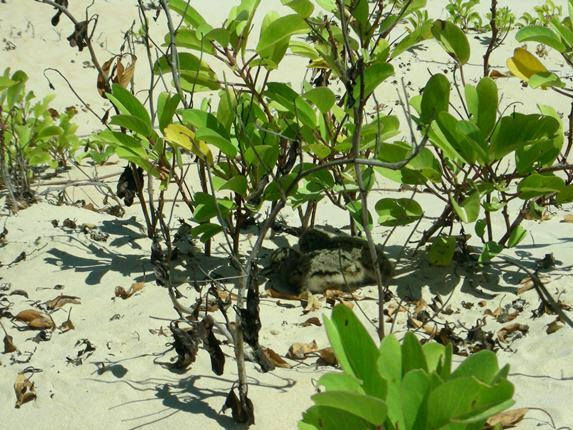 Red-capped Plover chick lying under a small stick-note the adult and chick footprints! 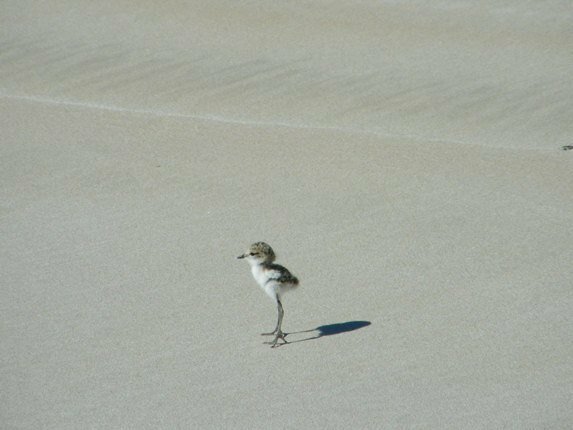 Red-capped Plover chick stands still at night hoping to be invisible! 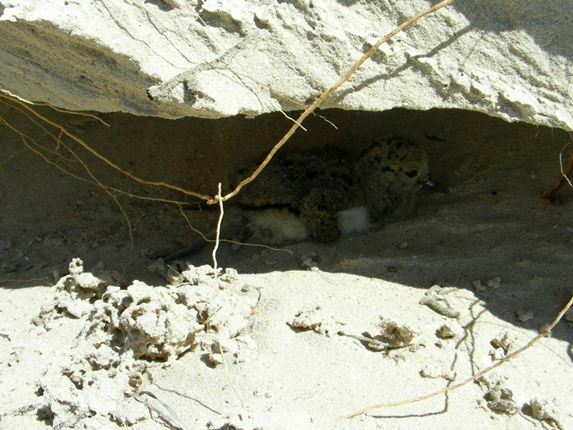 Not all of our shorebirds nest along the coast. The Masked Lapwings are quite happy to nest at the Poo Ponds , the nearby lake systems and even in the storm water drain behind our home! They are extremely vocal and there was no mistaking the sound when the parents decided to move their chicks through the storm drain behind our property to take them to the local park. 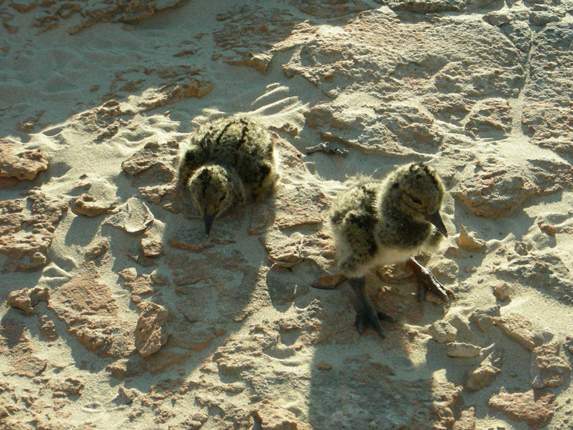 We hope you have enjoyed seeing some of Broome’s Baby Shorebirds! Baby Bird Week is our celebration of the young, the cute, the adorable, the twee. We certainly spend enough time on adult birds here on 10,000 Birds so we figured it would only make sense to fawn over the fuzzy bundles of fluff that grow up to become the objects of our fascination. Whether you seek out waterfowl, songbirds, or seabirds we will have baby birds to match your obsession. 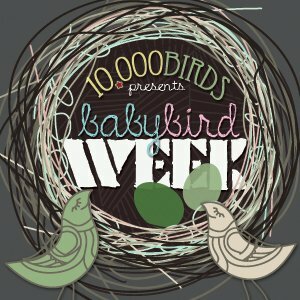 Baby Bird Week will run from 15-21 July, Sunday until Saturday. Make sure to check back every day or even multiple times a day to keep up with all the baby bird goodness! Those are some really cute baby birds! Great post Clare. Nice, Clare! 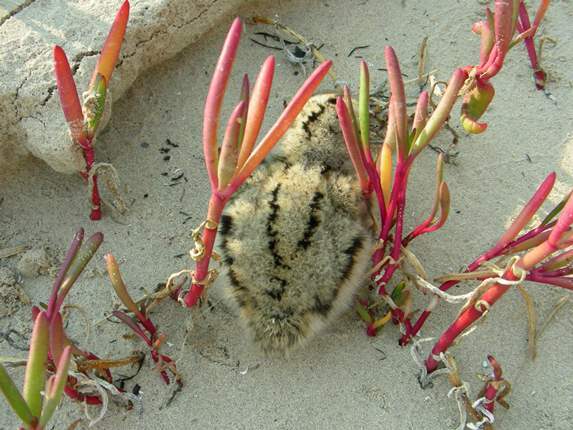 Baby shorebirds are definitely among the most adorable baby birds. Wonderful. Way to kick off the week Clare. What a delightful post Clare! I enjoyed all the photos of the little chicks in their hiding places. 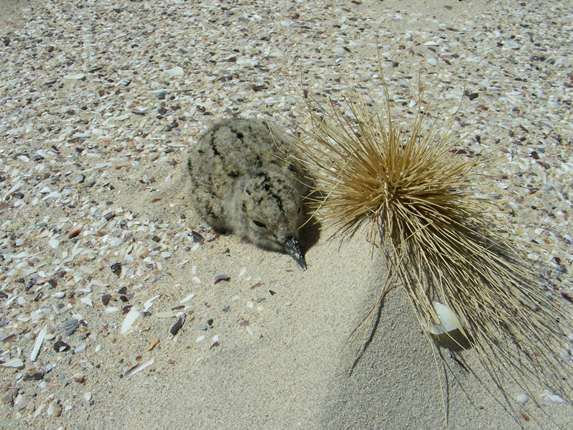 Shorebirds young are exceptionally cute. 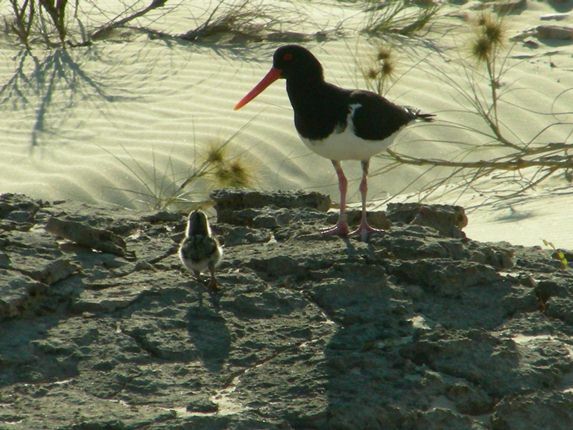 My favorite photo is of the backlit Pied Oystercatcher parent and chick with the dunes in the background. Gorgeous! Great photos and information, Clare. 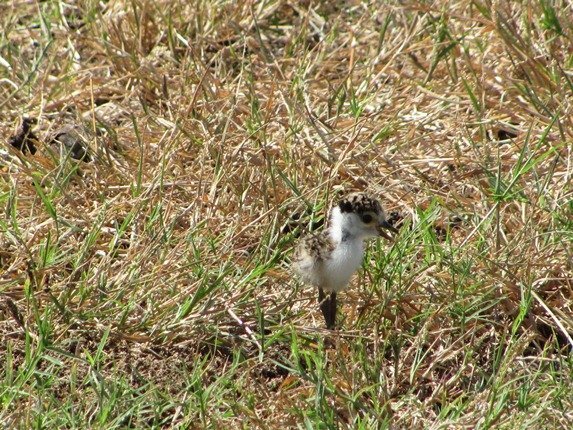 I especially love the Red-capped Plover chick!